At a distance of 8 km from Ravangla on the road to Damthang is the viewpoint that offers spectacular view of the sunrise, as the first few rays sun lightens up the snowy peaks of Mt. Narsing, Jopuno, Kabur, Rathong and Pandim. 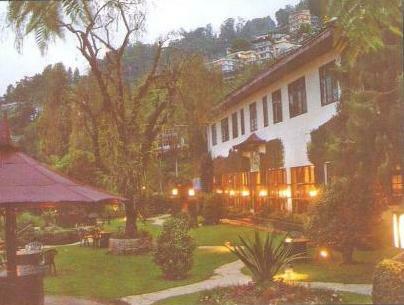 At a distance of only 16 km from Ravangla, it is one of the most beautifully located tea garden of Sikkim. The journey through the winding road via Dentham is even more attractive. A 9 km trek from Dentham through the Tendon sanctuary goes to a dormant volcano, an unforgettable place to view Kanchenjunga and Singalila range in the west and vast plane lands in the south. Even Pelling in West Sikkim and Siliguri town is visible from the view point of Tendong. 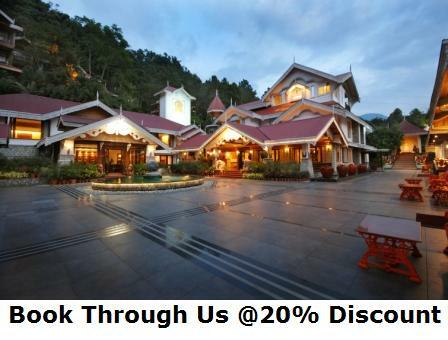 Is situated at a distance of 26 kms from Ravangla. The monastery on the way holds the famous kagiang festival in December. 13 km from Ravangla are the two monasteries at Ralang which follow the Kagyupa sect of Buddhism. The Old monastery was built in 1768 AD and legend has it that the 9th Karmapa, head of the Kagyupa sect, blessed the site of the monastery with grains of rice thrown from Tibet. 'Pang Lhabsol' the worship of Mt. Khangchendzonga & 'Kagyed' Chaam (masked dances) is held in the monastery every year. Cha-chu or hot sulphur springs at Ralang & Borong are traditional winter spas where visitors spend a week or more soaking in these springs that have medicinal properties. Ralang Cha-chu can be reached after a 1 hr downhill walk to the Rangit valley from the Ralang monastery. Borong Cha-chu is a 7 km drive from Ralang and a further 45-minute downhill walk. Both these hot springs are located along the banks of the Rangit River and can be visited from December to February. For overnight stays temporary huts are available at nominal rates but all bedding and cooking utensils have to be carried along. During the hot spring season small shops selling basic vegetables & provisions are setup and the local villagers sell diary products. Located 8 km above Kewzing, the Mangbrue Gompa is also an excellent view point of the mountains and hills. Tashiding, located 39 km away from Ravangla, literally means the 'Central Elevated Glory'. Built in 1716 AD, it is the most sacred monastery complex in Sikkim and hosts the annual 'Bumchu' festival during which the barrel containing holy water is opened and the level of water foretells the year lays ahead. Trek starts with a 13 km drive to Damthang & 2.5 hrs trek. Tendong peak (8500ft) offers a spectacular 360 degree view of Sikkim & the distant plains of North Bengal. 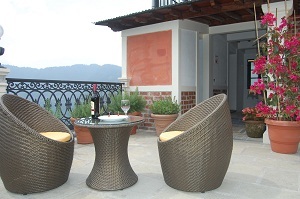 Is located about 12 km up from Ravangla which can be visited on foot. A traditional meditation site for the monks, it is also a vantage location for spectacular view of the mountains at sunrise. The trek takes 2.5 to 4 hrs and winds through a thick forest of oak, chestnut, magnolia and rhododendron trees. The forest is a riot of colours during spring (March/April). A natural habitat of the red panda, Himalayan black bear and many species of deer, this area is designated as a Wildlife Sanctuary. Statue of Guru Rinpoche (Padmasambhava), the patron saint of Sikkim. The statue in Namchi (Samdrumptse) is the tallest statue of the saint in the world at 36 m.
For local sightseeing it is advised to use your Taxi / Cab that you have used to travel upto Ravangla. You can retain your vehicle, use it for sightseeing and also proceed to the next destination. Getting a local taxi for sightseeing is difficult and expensive.